It may not look like much anymore � just a small parking lot behind a green chain-link fence. But to thousands of theatergoers in Western New York and across the United States, 770 Seneca St. stands for something a lot bigger. To them, the patch of earth on the once-bustling East Side symbolizes Buffalo itself � hardworking, shirtsleeve, blue-collar Buffalo of the 1950s, full of men who knocked back a few beers after a long day at the factory and capable women who made the cole slaw scooped onto their fish fry plates, from scratch, every Friday. That�s the image of Buffalo that the play �Over the Tavern� sent out to the world. Now the site of the original �Over the Tavern� tavern has a brand-new historical marker all its own. 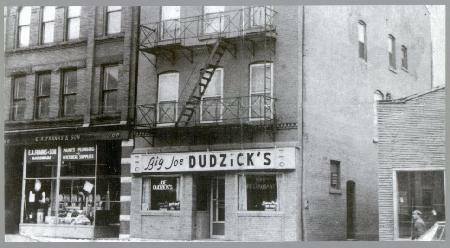 The lot on Seneca Street was the site of Big Joe�s Tavern from 1946 to 1966. The city installed the marker late last fall, Dudzick said. Calls to City Hall about the marker were not returned late Monday. �Big Joe� Dudzick, who earned his nickname for his stature � 6 feet, 11 inches � was a star basketball player at Canisius College in the 1930s. He went on to careers in both barkeeping and politics. He served two terms as an at-large member of the Buffalo Common Council before being unseated by Alfreda Slominski in 1967. 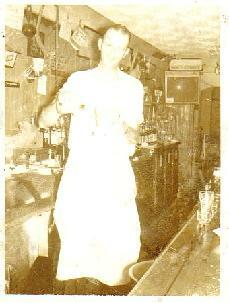 All the while, he was running the popular Big Joe�s, which poured drinks for workers from the neighborhood � the Larkin complex stood nearby, among other employers � and served up beef-on-weck and kielbasa at lunch, and homemade fish fries on Fridays. 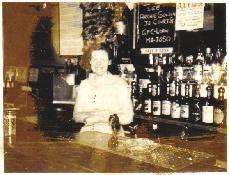 Both Joseph Dudzick and his wife, Alice, worked in the family business, making their home above the bar. They had five children � Carol, Paul, Joan, Michael and Tom. 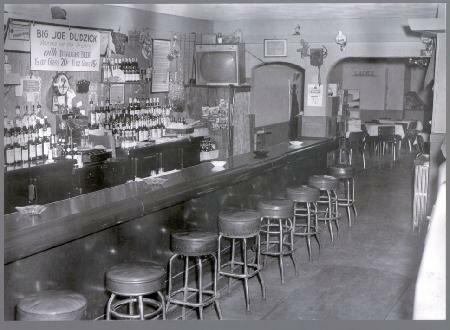 Later the Dudzick family moved out of the tavern and into a home in North Buffalo. In �Over the Tavern,� the bar is �Chet�s Bar and Grill,� owned by a family called the Pazinskis. The play is told through the point of view of the family�s 12-year-old son, Rudy, a stand-in for the playwright as a boy. 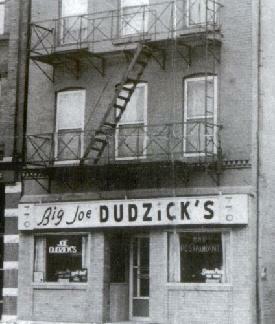 The historical marker reads: On This Spot 770 Seneca Street Stood �Big Joe� Dudzick�s Tavern (1946-1966), Boyhood Home Of Playwright Tom Dudzick, Inspiration For �Chet�s Bar and Grill,� Immortalized In His Play �Over the Tavern� First Presented By Studio Arena Theatre in 1994.